Wenger, who ended his lengthy time in charge of the Gunners at the end of last season, was sad to see his former charge call time with Die Mannschaft after a disastrous showing at the finals of World Cup 2018 in the summer. I think Germany needs Ozil and I hope Joachim Low can convince him to come back. And, without Ozil, things have not improved for head coach Joachim Low and his team, with Germany having been beaten 3-0 by the Netherland and 2-1 by France in their last two outings. That form prompted to suggest that Low should try and encourage Arsenal schemer Ozil to rejoin the national team set-up, with the playmaker having helped his country win the World Cup four years ago. He told Sport Bild: "I think Germany needs Ozil and I hope Joachim Low can convince him to come back. Ozil is a super football player and was not the worst at the World Cup. "I did not love it that he withdrew from the Germany team, because the Germans respect what he achieved. "I love it when the players are as good as possible and he loses a bit if he does not play at an international level." 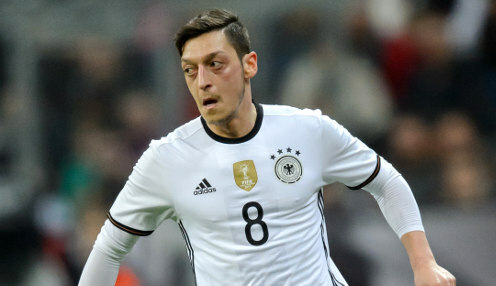 Thirty-year-old Ozil has won 92 caps for Germany, scoring 23 goals, while his club career took in spells with Schalke, Werder Bremen and Real Madrid before he joined Arsenal. Meanwhile, Germany are 7/1 to win Euro 2020, with France priced at 10/3 and Spain available at 11/2.